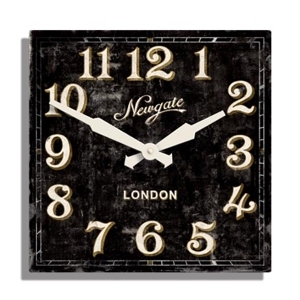 This clock is brand spanking new to the website and we’re sure they will go down a storm. The 50cm square dial, bold arabic numerals and large metals hands make this a real statement timepiece. 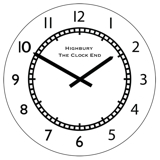 The expertly designed printed dial has been given an aged appearance and it sits on a composite wood back and has large metal hands. Please click on the image to zoom in and view the design detail.